How paranoid is your car? Car said “Range: 30 miles.” I filled up and barely squeezed 13 gallons in it when it has a 16.4 gallon tank. I average 27 MPG, so 3 gallons left would be around 81 miles to true empty. 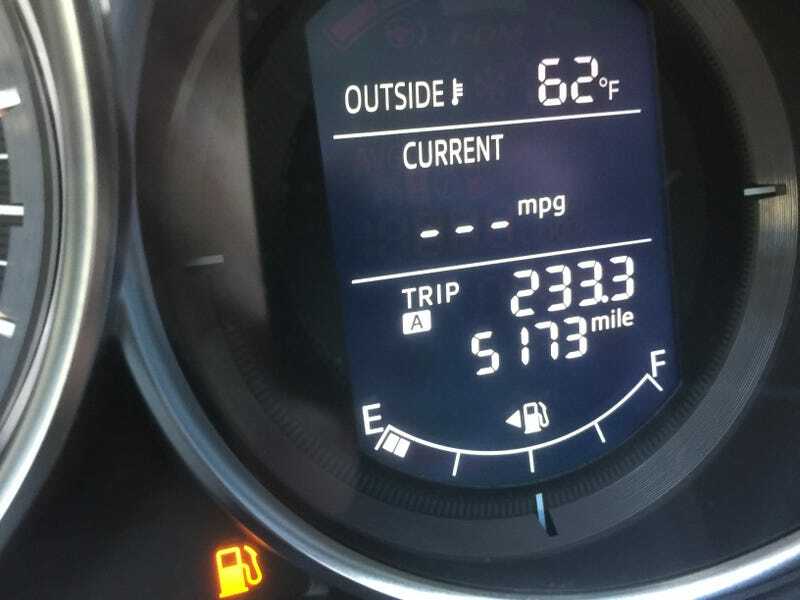 I can see why they make cars take precautions in showing “Distance to Empty” figures, though. It’s a huge variable, first of all. And all it’d take is one dumb person running their car out of gas one too many times and ruining a fuel pump for there to be a full scale recall in place.